Your professional references could make or break your successful job offer, so don’t spend all your time formatting the bullet points on your resume. The final applicants being considered for a job are the ones whose references are checked, so don’t take lightly this important part of your application. Here are some important do’s and don’ts of finding references, even if you have little or no job experience. You don’t want to have to delay submitting your application or keep a recruiter waiting because you haven’t secured your references yet. Before you begin the job hunt, make sure you have 3-5 people willing to be your references and speak to your skills and character. In addition to securing them initially, make sure they are available to be reached each time you use them to be reached. It would be unfortunate if you were being considered for a position but your reference is out of town and cannot be reached, so you’re passed up for the job. Choose references based on which skills you want to emphasize on your application. If you’re applying for a management position, a reference who can attest to your leadership skills would be helpful. Speak with your reference to ask them what they would say about you. 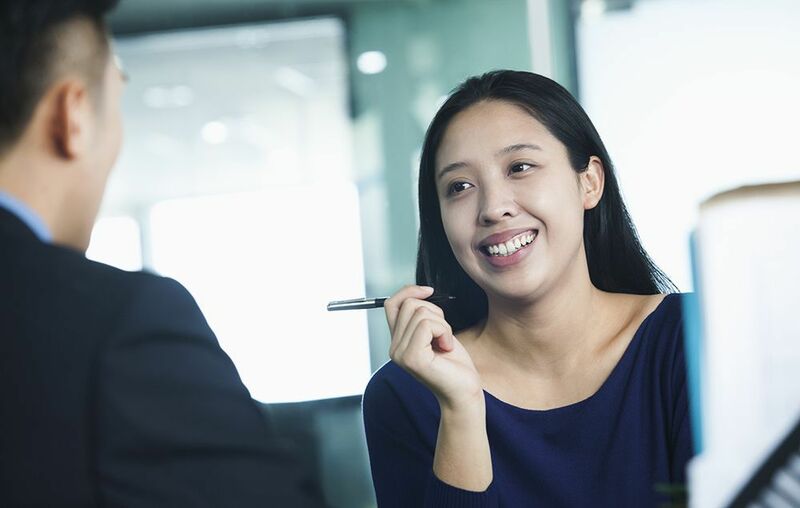 You can phrase this conversationally as, “What would you say my best skills or attributes are that you would mention?” You can even list the skills they will vouch for on your application next to their name. This will help recruiters narrow their questioning and confirm the information on your resume. This will make them more invested in your success. Catch up with them and chat about projects or achievements you’ve made or worked on together. Talk about the job and how important it is to you, and don’t hesitate to boost their ego about why you chose them as a reference—because they’re so well-spoken, because you thought they were a great manager, etc. If you can’t think of anybody who can attest to your work ethic or responsibility, get out there and prove yourself! You can find a volunteer project any day of the week that will give you the chance to work hard, meet others, and find someone to be your reference. Be creative and open-minded, and you may just find other opportunities hidden in your reference search. The worst mistake you can make is assuming someone will vouch for you, and then they won’t. Nobody likes being caught off guard or being put on the spot, and even if you think your professor loves you, you could be wrong. Sharing someone’s personal contact information without permission can also be seen as an invasion of privacy, so it’s better to leave somebody off if you can’t verify their permission than to leave it to chance. In today’s world, assume that every potential employer will search for you online. And also assume that they’ll search for your references, checking that they are who they say they are and appear to be a respectable source of information. If you use someone with whom you party with or have a close, intimate relationship, assume that will come across to the recruiter and the reference will be discarded as biased. On the other hand, potential employers would be impressed to find praise about you on the internet, such as good reviews on LinkedIn or some other sort of “shout out.” So if somebody has offered words of praise online, consider them as a reference so the search of their name also yields a positive review of your work. Former coworkers or anyone with whom you’ve worked on projects or collaborations are qualified to speak to your skills. Even a teacher, professor, or coach can vouch for your teamwork, communication, and work ethic abilities. Did you help care for your elderly neighbor? There’s a reference. Did you do volunteer work for your church? You can use a reference from that. Get creative and think of people who have seen you work, and chances are you have more references than you thought. Even if you’ve once secured somebody as a reference, they may have moved or changed positions, making their information outdated on your application. Every time you apply for a job or use them as a reference, let them know and also verify the best way to reach them. Independence University is dedicated to helping you succeed at school and as you pursue your career. Request more info about our career-focused degree programs and network of industry partners.